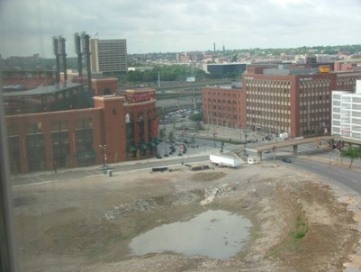 View from hotel room - the hole is where old Busch stadium was. 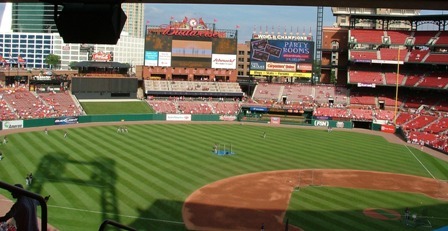 Almost 2 years after the final game (Oct 2005). 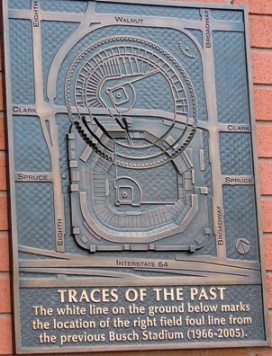 There were memorial bricks at certain points around the new stadium - included were Cardinal historic markers, such as this one. 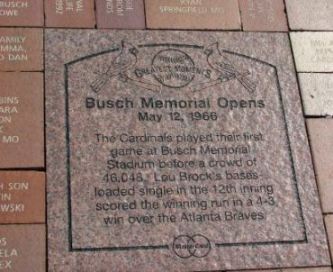 Looks like the Cards beat the Braves in the first game in Busch Memorial (Old Busch) on May 12, 1966. 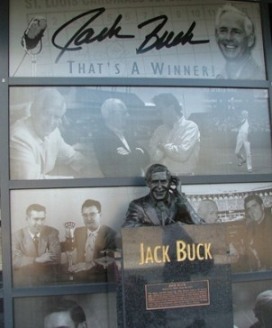 There was a nice tribute to Jack Buck, including sound. 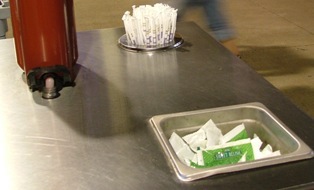 A visual of how the new and old merged. Overall, the park was very nice. 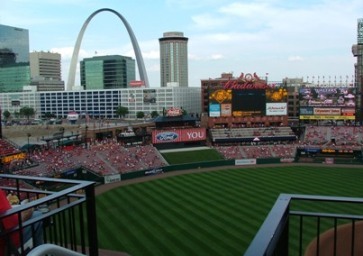 Even a nice view of the arch could be found. 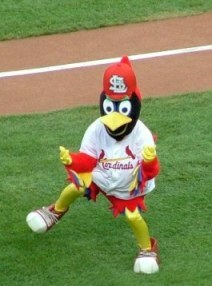 Old park or new - FredBird can always be found. 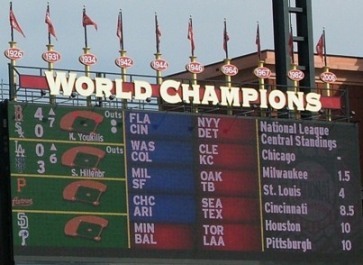 Final score, with the Retired Cardinal numbers underneath score board. 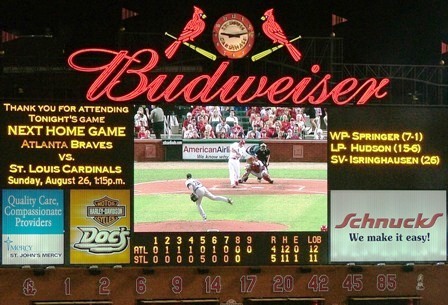 Not a good night for the Braves, or as a seat neighbor stated in the Cards fifth inning, "Tattoo Tim [Hudson] got tattooed!"